artgoodies stuffies! 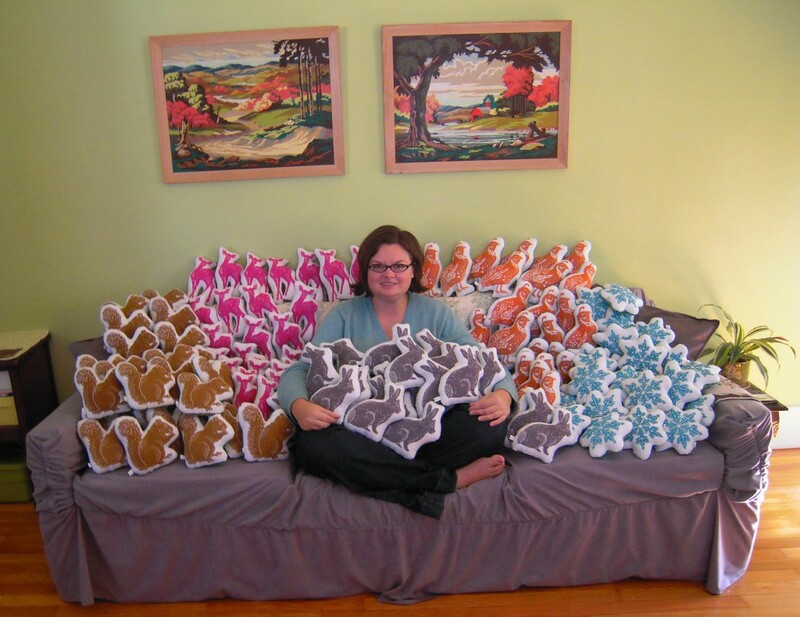 I've been super busy in the studio working on holiday orders and this order of 150 stuffies from my newest account! Oh and those sweet paint by numbers were done by my grandma and dad! artgoodies stuffies look like they could have just jumped right out of them! A peek into the studio. 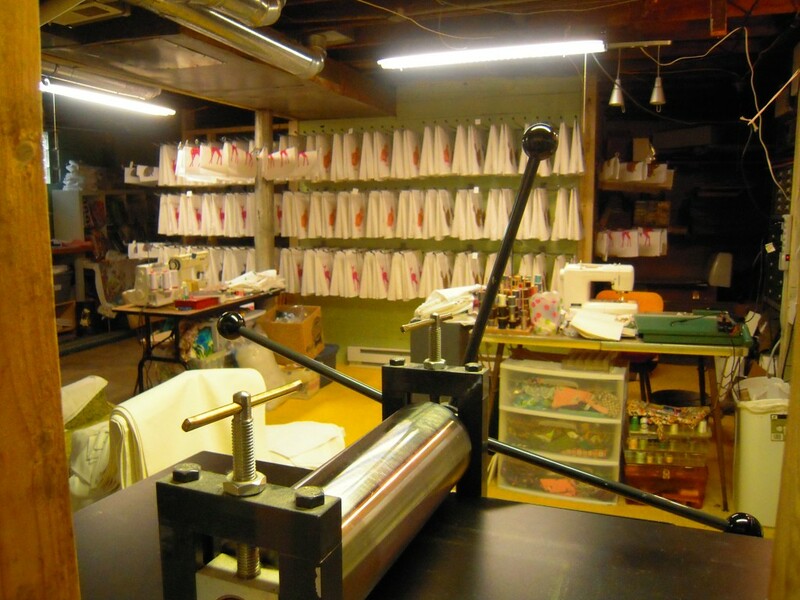 There’s my awesome Conrad adjustable etching press, made right here in Michigan. Towels and stuffie pieces drying in the background, you can’t see all the racks in this pic but there’s another whole wall like this back around the left hand corner, plus what I call emergency racks placed around the studio. I pulled 700 prints in 7 days. I’ve been busy busy, sewing, packing orders and of course printing! I’m resting tonight and will be back to the print marathon in the morning! My parents have been totally amazing helping me pack orders, iron, and dad even sewing in tags! I’m so lucky to have such support and love from them, it makes a huge difference especially when you work independently! Go team artgoodies! It's that time of year when all the leaves and plants are going away and so this month it's ode to green! 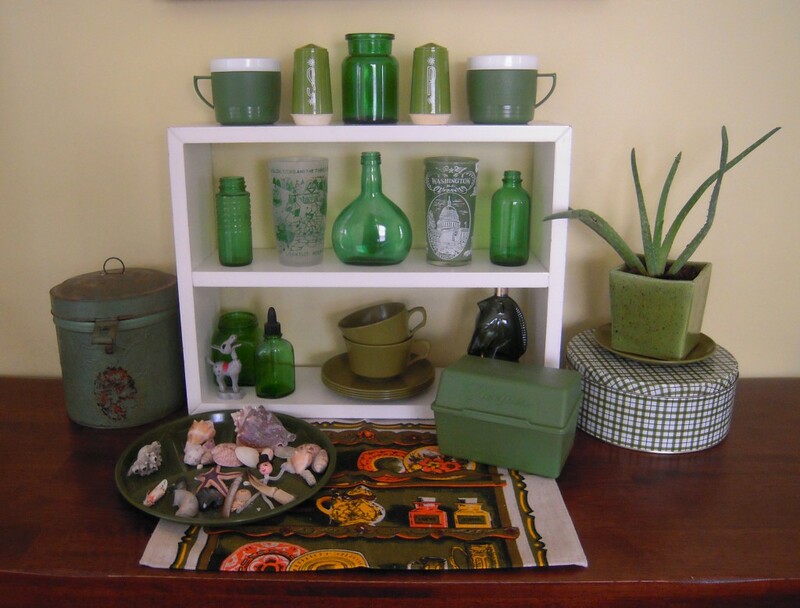 I have a little green vintage bottle collection perfect for little bouquets around the house. Plus you can find a bunch of the other pieces in my vintage shop! 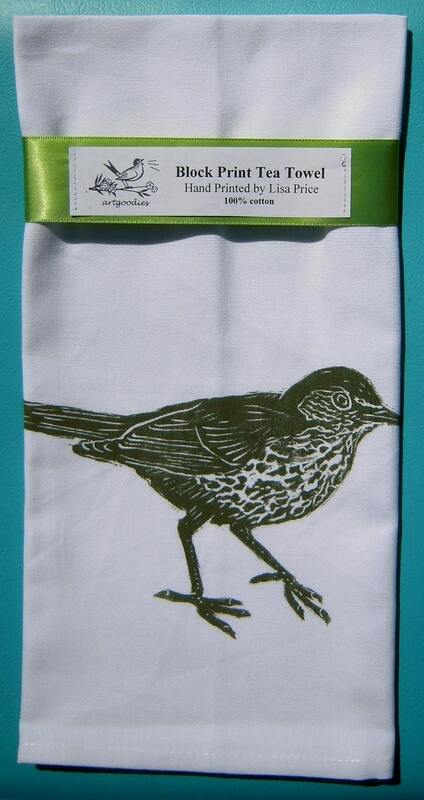 Get the look with my artgoodies woodthrush towel and more items below! 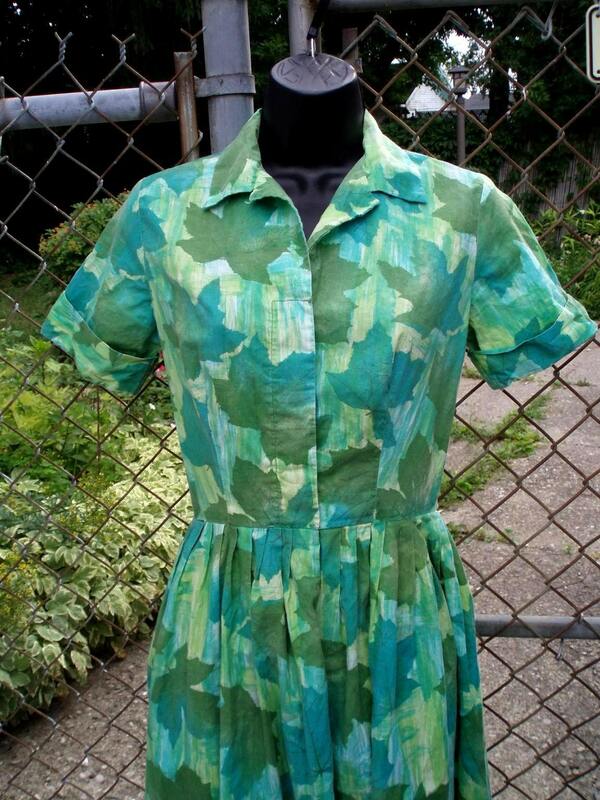 Plus check out more items in my vintage shop by searching there for green! 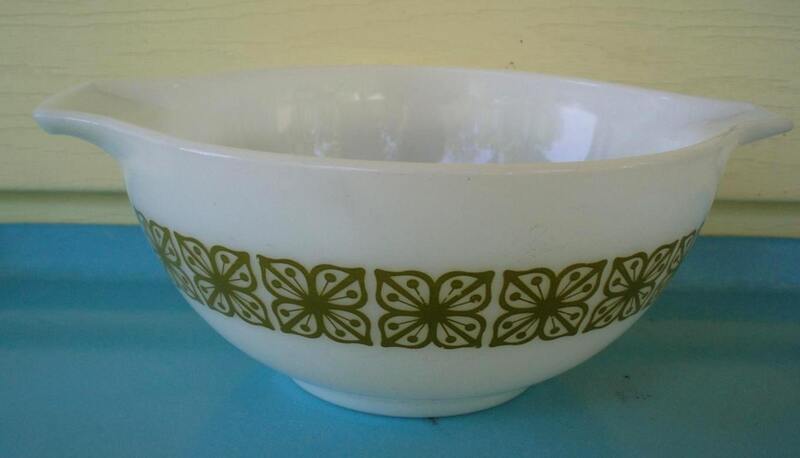 This awesome pyrex bowl is perfect for mixin it up or for serving salads and sidedishes! This vintage dress it totally gorgeous! Great for all year and lovely for fall with a cute sweater!